Domaine de la Renardiere was establised by Jean Michel in 1990 with his wife Laurence. Jean Michel grew up in Pupillin, where his parents and grandparents farmed the vines, selling their grapes to the local cooperative. 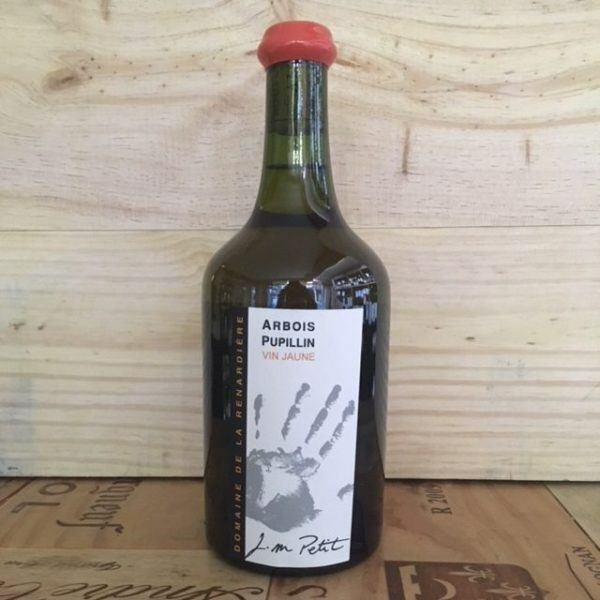 The domaine now has 7.5 hectares all within Arbois-Pupillin, which have been farmed using organic and biodynamic principles since 2010 and the domaine was certified Organic in 2012. The Vin Jaune is made in a similar method to a Savagnin Sous-Voile however it spends longer under the veil of yeast. The AOC laws state that no racking or handling can take place and the wine must spend a minimum of 6 years in barrel. The earliest release is allowed 7 years after the harvest and must be bottled in a classic 62cl clavelin bottle. Michel’s Jin Jaune from 2010 is surprisingly accessible for a young wine for the style. It offers rich walnut and hazelnut notes, which linger for a long time on the finish, perfect with some well aged Comte cheese. Wink Lorch’s profile of the Domaine is comprehensive.